I have walked by this fountain a million times but never thought about taking photos there until last week. I am so glad I did because this spot turned out looking a lot like Europe, and reminded me of the fountains in Central Park in NYC. I am wearing this lovely LBD by Cooper & Ella. I adore the dropwaist silhouette and the white piping... so cute! To keep things simple and classic, I paired it with a wool fedora hat, a leather satchel, and these vintage YSL pumps. In other news, it's raining again and I can't wait til the sun pop up. Tessa piped dress c/o Cooper & Ella. Wool fedora hat c/o MuDu London. 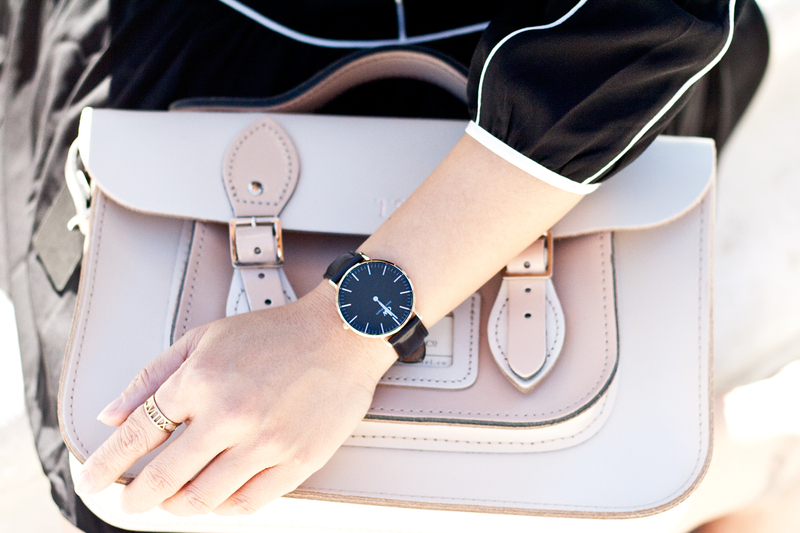 Customized leather satchel c/o The Leather Satchel Co.
Classic Black watch c/o Daniel Wellington.